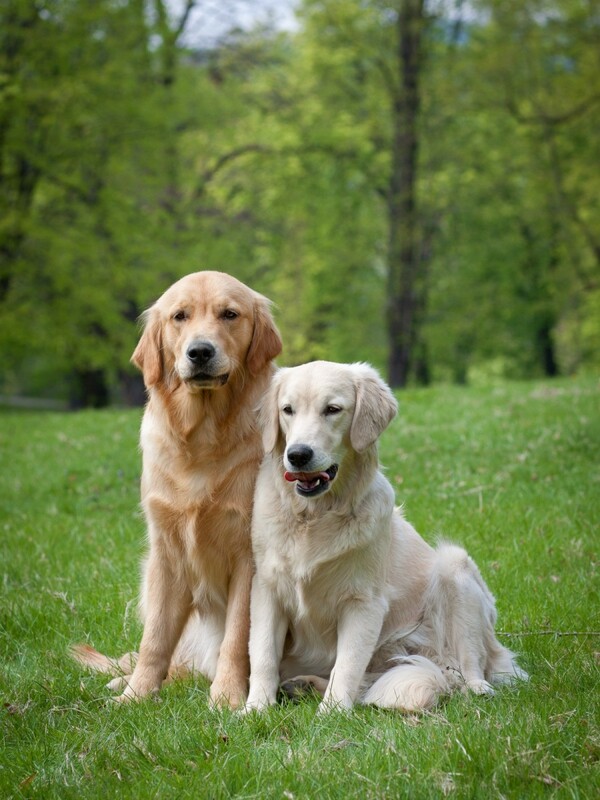 Getting your lawn started and maintaining it, can be a challenge with dogs sharing the space. This guide is about growing grass in a yard with dogs. Feed your dogs a carefully researched raw food diet. I have four female dogs and a beautiful lawn. Their urine does not scorch my lawn because they are not fed kibble. Q: Does anyone have any suggestions of how I can get the grass to grow back or to not be brown where my dog pees in the yard? I hate to have a nice green yard and then have spots here and there that are dead from the dog urinating there! As long as you have a dog running or tethered in your yard, you are probably going to have some burn spots. One thing that I would strongly advise against is giving your dog any of the commercial "additives" to change the pH of the urine. These have been known to cause serious damage to the kidneys. It's the salt in a dog's urine that causes the grass to burn (not its acidic nature), and these so-called additives can seriously affect your dog's health down the road. The best remedy for avoiding burn spots is to flush the area thoroughly with water every time your dog urinates. The water will act to dilute the salts to a safe level for grass. For repairing dead spots, remove the dead grass and loosen up the spot with a small shovel or spade. Add some compost and fresh soil and reseed the area. It is very common for dog's urine to cause this problem. We have found that preventing it from happening is the best remedy. We buy a product called "Green-UM." You can find these on different Dog supply web sites or catalogs. (Do a Google search) There are other similar products. They are an all natural supplement/vitamin. They are pills you give the dog or crumble on their food. Our dog takes them with no problem. They protect against "Lawn Burn." To get rid of the existing burned out areas you can crush and sprinkle these pills on the area. I would rinse the spots really well with your garden hose first and loosen up the dead grass with a rake. Once the acid is diffused you could put on grass seed. We get the same thing; and our dog is perfectly healthy! What we do is keep a bottle of water by the door, and when we take her out to go, immediately water the spot to dilute the urine. Not an "easy" solution; but the alternatives were not ones we like. There is a remedy you can buy that is supposed to help it; but our vet advised against it, because altering the pH of the urine is asking for bladder/kidney problems. Another alternative would be to try to train your dog to go only in one spot....would be work to begin with, but would be worth it. I don't like the brown spots, either; but love the dog; so the trade-off is worth it. When I go to pick up the doo-doo, I pick the brown grass too. Sometimes it comes up easy if it doesn't leave it. It will leave a dirt area but the grass will grow back. I used to buy the grass seeds, fillers and such and found it was more trouble then removing the brown dead grass. If you remove the dead grass area it will grow back. If you leave it and add seeds, fillers, sprays you're still not removing the problem. It's dead grass. So just pull it up and it will grow back with usual watering. I tried the tomatoes. Hoax for my bulldog! What is the best way to grow grass in an area where 2 large dogs like to play? We have four dogs and live in SC and they suggested bermuda grass. I am not sure of what grass is good for your area but I would check with a reputable landscape company. Along with the grass problem we have huge oak trees and to tell you the truth we haven't found anything that will grow but I do have shade flowers around the edges and everybody thinks I have a beautiful yard even without the grass. I left a run between the fence and the flowers because dogs like to protect. I have 4 dogs in our yard and it was either the dogs or grass, I chose the dogs. When me and my ex-husband first put our grass seed in the ground we had to cover the seed up with straw. Maybe you could do the same. Well, choose between which is more important to see outside, the grass or the dogs. The peeing on the ground is going to burn the soil. I just buy lots of grass seed when on sale, sprinkle it out regularly, rake it in, water. Watch the birds take some and the wind, sprinkle it out again, mixed with some dirt this time. Hmm. Got the lint from the dryer, mixed some in there and watered it down. Tried lots of things. Guess the dog wins. It is not much of a path, but you can tell her path in the yard. She likes to go out into the grass to pee, that seems to be good, it is the soil where winter kill happens and the allowment of her leash length that all stops at the same area. Is there anything in the stores, such as a mesh, that I can put down so my grass can grow? I want to protect it from my dogs. It is dying where they run on it. Two ways to handle this-create a path of some sort of hard scape where the dogs like to make trails, or plant a grass that wears better. Which grass variety is dog and kid traffic hardy in your area is best determined by a visit to a good local plant nursery, or checking with your local extension office. To find your local extension office Google the words extension service and your local university in one search term. You will more than likely find all of the information you need online at their pages free of charge. I need your help. Part of my yard is really shady and I am having trouble with grass growing there. Is there a certain type of grass that I should try to plant in that area? I also need something that is not fragile as I have pets that have the run of the yard. Your going to need some garden lime to correct the soil where brown spots occur. Sprinkle it on and water it in good. In some places you may need to loosen soil and replant seed. But cover the seeded area with something like straw after you water it well. It will help keep moisture in til the seeds sprout.